Backstrap Weaving – Encuentro de Tejedores de las Americas – Part Three…and more…. 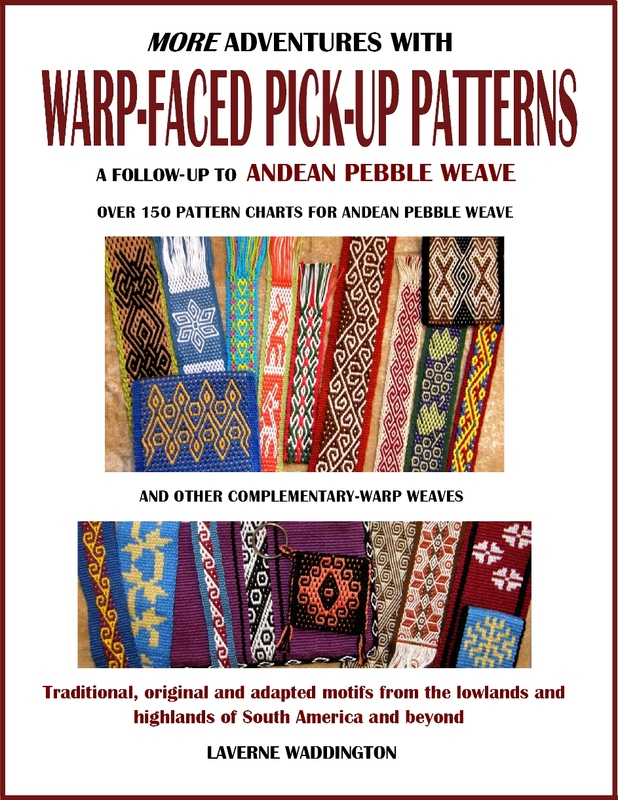 Before I get into Part 3 of my report on the Encuentro de Tejedores de las Americas (see Part 1 and Part 2 here and here), let me show you how I have been getting on with my latest experiment with supplementary-weft patterns. You may remember from last week’s post that I was inspired by seeing textiles from Bhutan with their gorgeous motifs created by using supplementary wefts. I was happy to see that I could decorate my own woven cloth with similar patterns using techniques that I had learned in Guatemala. At left is the sampler I made to practice the techniques and experiment with the spacing of the pattern warps. I had some fine cotton from Guatemala that my friend Betty had bought about 30 years ago. How nice that this cotton could finally find its purpose. The black cotton disintegrated as soon as I pulled it out of the closet. I guess that there is something in the black dye that causes the yarn to rot quickly. The other colors…red, green and purple….were just fine and, fortunately, there was plenty of white to dye black. I had my heart set on a black scarf. There were a lot of ends to wind to make 7 inches…672!! The cotton is kind of sticky and I can see why Guatemalan weavers very often choose to size their yarn with a kind of corn starch wash. I am using it as is and need to be very gentle. I broke one warp before even getting started and my heart sank but it turns out that it was due to my clumsy handling of the pick-up stick…phew! No more breaks so far but there is still a looooong way to go. Of course I made a wee sample before diving in to see how many ends I would need to make an inch. I also needed to test the ideal number of strands of tencel to use for the weft patterns. Sample done…width calculations made. Now, how long should a scarf be? Seems like a silly question, but I have never made a scarf before. Fortunately, I do own just ONE. After all those years spent skiing and then living in Patagonia you would think that I would be more scarf-wise. There is the warp and I am ready to make the 336 string heddles. I like making heddles…time to put on a cd and sing! and I didn’t cross or double up any warps…phew! 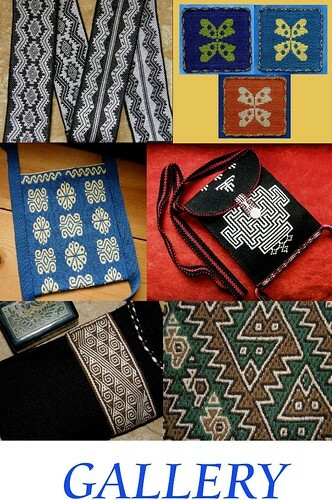 I have lots of pictures that I have taken of Bhutanese textiles in friends’ collections for inspiration and David K Barker’s books are wonderful too. 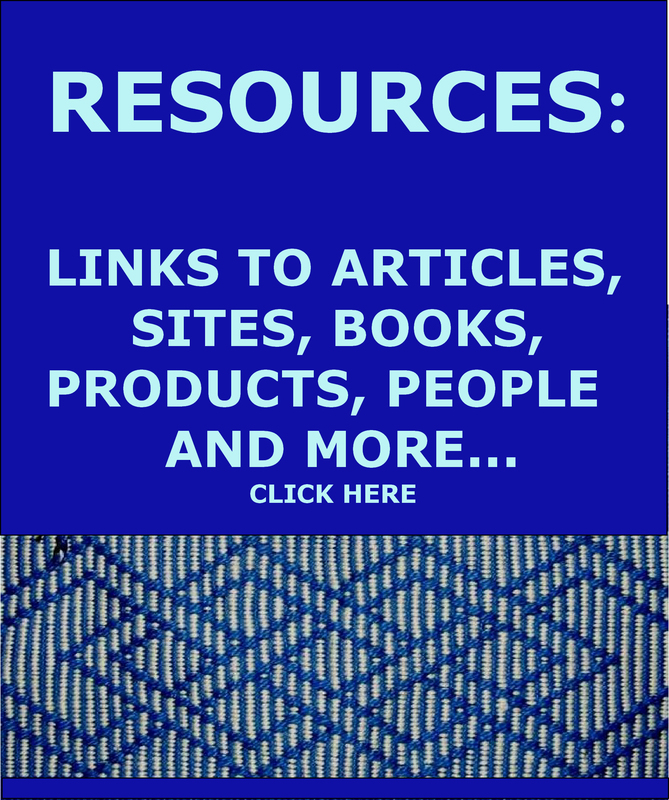 (See my RESOURCES page for information on how to download his books for free.) However, I decided to play it safe to start with and weave one of the patterns that I had already tested on my sampler. So, I sat down to weave and that is when it hit me…wow, this yarn is really FINE….and….it’s black! All the clues that I usually use to make the pick-up easier for supplementary-weft patterning are dependent on actually being able to see the threads!! Boy, had I made things hard for myself but, believe it or not, I got used to it and came up with other ways to eyeball the placement of the patterns without having to become a slave to pattern charts and endless counting. It became a very cool learning experience and, as with all things new and experimental, much un-weaving was done and all with my heart in my mouth as I don’t think that this yarn will take much “backing and forthing”! Here is the first pattern under way. I placed several thin pieces of cardboard in alternate sheds in the warp beyond the cross sticks. This gave me a place to make quick adjustments to loose warps within arm’s reach and with the warp under tension rather than having to get out of my backstrap and crawl up to the end of the loom. 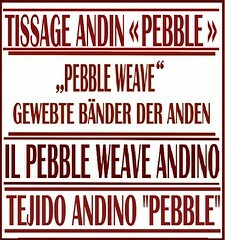 Sometimes you don’t get to choose when to weave. I would come back in from a break to find Her Highness reclining in what was, apparently, the most comfortable spot in the house. Would you dare disturb someone with a look like that on their face? You can see the next set of patterns in progress here. And this is where it stands for now. I am just getting past the first warp break and have my fingers crossed that there won’t be more. I watched a gentleman from Chahuaytire weaving on his backstrap loom when I was in Cusco. A warp broke and I loved the calm and cool way he went about fixing it like he had done it hundreds of times before (well, of course, he probably had). He didn’t need to have anyone tensioning the warp while he leaned forward to fix the break. That is the part I find hardest. Be prepared to see a lot more of this project in the weeks to come. Unless, of course, those warps start a- snapping, and then you will most likely see it finished really soon as a zippered pouch or journal cover! The Encuentro…it was over two months ago now and I am finding it hard to sum up here but I will try! The spindle known as “malacate” used in Oaxaca, Mexico to spin silk. Its whorl is made of horn. The traditional “sig sig” spindle of Salasaca, Ecuador made from pampas grass stems. A small piece of thin solid stem is inserted into the soft interior of the large stem section to suspend the wool yarn as it is spun. A spinner from Chiclayo, Peru showed me how she spins the natural brown cotton that is cultivated in the region. She told me that a heavy stone is usually placed on top of the cotton as she draws out the fiber to be spun. Not having one handy, she used the bottle of water that you see in the video. The spindle whorl is a piece of avocado seed. It was about sticks…lots of sticks! Sticks used by the weavers of Bajo Urubamba to create their warp-float patterns. Multiple heddle sticks are used to weave the traditional pattern on the “faja sara” of San Ignacio de Loyola. An ikat warp ready to be woven into the traditional shawl of Tacabamba, Peru. The ties on the sections of threads were the only means I could see to keep the threads aligned for the ikat patterns. Threads are stretched on the typical leaning vertical loom of Tarabuco, Bolivia. Multi-colored figures depicting ceremonies and scenes of daily life in the community will sit on a white mesh-like background. The colored threads are generally thicker than the white ones which gives the figures relief. The backstrap loom with its cotton warp from Chiclayo, Peru. A single-faced cloth decorated with warp-float patterns is created. Small bunches of string heddles control the colored layers of warps on the horizontal loom of Taquile Island, Peru. A floor loom holds the warp on which a weaver from Ayacucho, Peru is creating a beautiful tapestry. And it was about the wonderful hands and spirits of the talented craftspeople and artists who use sticks and fiber to create beautiful cloth….such an amazing variety of people from across the Americas! Weaver, Natividad, of Taquile Island, Peru creates a sash with bands of warp-faced double weave motifs and complementary-warp patterns. This piece had six bands of pick-up patterns. A weaver of Tacabamba, Peru, puts the finshing touch on her woven ikat shawl by knotting an intricate pattern into the fringe. A Matsigenka weaver from tropical lowland Peru creates warp-float patterns in cotton on her backstrap loom. A woven tubular band in progress…putting the finishing touch on a woven piece from Pitumarca, Peru. The tubular band had been set up with three sets of string heddles and a shed loop and, therefore, did not require any pick-up. There was time to watch and chat and share…. Bolivian Elvira Espejo shows the two most recent books she has written with British/ Bolivian Denise Arnold on weaving in the Andes. Representatives of the textile community on Taquile Island, Peru spoke about weaving and knitting traditions and the 547 families that are part of their textile co-operative which had begun in 1971 with only 7 families. Taquile Island has become an enormously popular tourist spot over the years. One point which created a bit of fun was their response to a question about how they felt when a hat that was created to be worn by a high-ranking official was bought and worn by a tourist completely out of context. They said laughingly that they were proud that “Taquile fashion” was being worn and loved around the world despite the fact that it was not appreciated in their own country of Peru. “Taquile fashion” then became one of the catch phrases of the conference and made us all smile. And time to just stand in complete awe…time and time again! A weaving of the Jalq’a people of Potolo, Bolivia depicting Ukhu Pacha, the underworld, with its khuru figures. Well, I hope that this gives you just a taste of what the week of ETAM was like. Thank you Maria Elena del Solar, Paula Trevisan and Luis Masa for organizing this event. And thank you Mara Elena for pushing me to go when I was dithering over the cost of getting there. It was the best birthday gift to myself ever! Thank you Centro de Textiles Tradicionales de Cusco for the fabulous exhibit of textiles from your nine member communities that you organized in the Convention Center to coincide with this event and for providing outstanding teachers for the workshops. As for Elvira Espejo and Denise Arnold’s books about which I know you will be curious, I have to find out if they are available in English and from where…stay tuned. Of course, you do know that the CTTC is having its second Tinkuy this coming year, don’t you?! 🙂 Are you coming? Wonderful photos! What a feast of fibres, yarns and hands! It makes you want to look with your fingers as well as your eyes. For an “iffy” warp, in an emergency I have sprayed a 50/50 hair conditioner and water mix onto a warp while its on the loom. Once its dry it holds it stiffer, of course and strangely I didn’t find it sticky, and its far easier to gently separate the strands after you have combed your fingers through the warp threads for the first time. There seems to be less wear and tear when going through the string heddles. Others swear by hair spray. Whatever works! Oh Laverne! That birthday gift to yourself (happy birthday, by the way) was and is SUCH a tremendous gift to all of us who read your blog. You have brought to many of us a world of weaving that we otherwise would never have the opportunity to see or even know about. 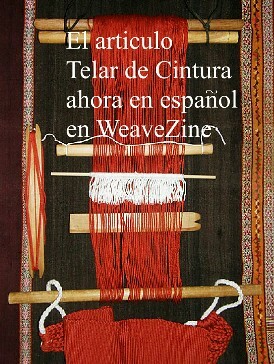 Simply seeing such beautiful and amazing faces and weavings is truly and inspiration. And boy-o-boy do you inspire me with your own work and your dedication to each project. What a treat your blog is! Thank you so much! The knot work is totally mind boggling! I really want to try it! Dear Laverne, Thank you for this beautiful post, about the shawl that is now on your loom….whaow, so many tiny warp threads and all black!! I love the coloured Bhutan motifs, hope it will turn into a long scarf without breakage. and beautiful photos and videos of the Encuentro. Beautitul!! your work is incredible!! thanks for taking us to this stirring weaving trip with you. I´d like to know “her highnes” name, mine is “Cereza” and as yours , loves to takes possession of MY work. Great post. Loved your covering something of cotton traditions of Bajo Urubamba and spinning cotton in Chiclayo, Peru. A question on the sticks used by the Bajo Urubamba to lay out the design. 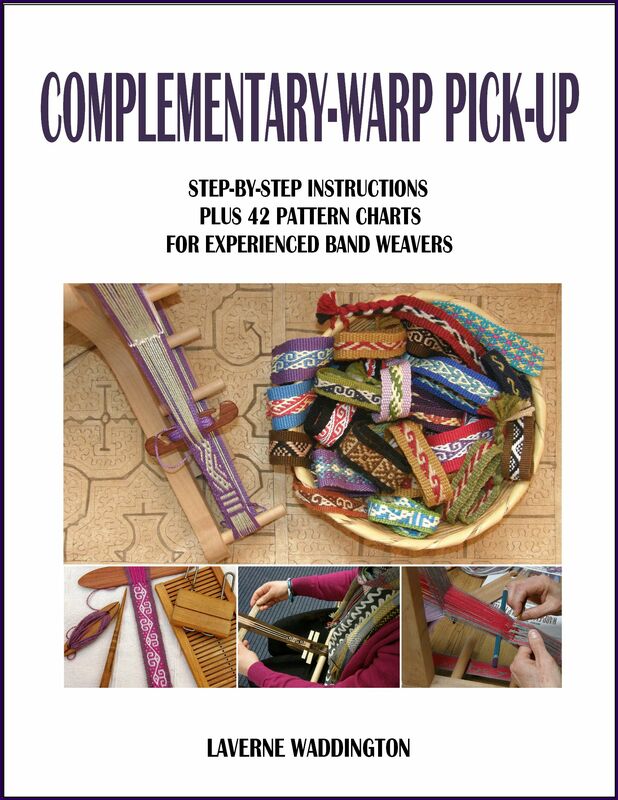 Do they take the next step of creating string heddles out of them which get pulled in sequence to weave the warp-float pattern? What kind of loom do they use–a backstrap or another kind? No, the weavers don’t put those picked-up pattern threads into string heddles but just keep them stored them on the sticks. They use backstrap looms. I knew you would like the information about the cotton spinners, Kathie!